Welcome to Francis Cassady's IBOsocial page. 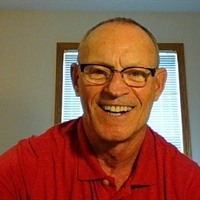 I retired from network engineering from Qwest Corporation,now Century Link Corporation.I'd volunteered for two years with RSVP (retired seniors volunteer program),guardians angels retirement community,Minnesota Responds (public health volunteer),and the Elk River food shelf. I also work out in the gym,so I studied and received a NASM certification for personal training.I had a significant surgery in October of 2010 and again in September of 2011. When I was at home recuperating I started an online business,Cassady Online LLC,the main sites are Startyourownbiznow.com, Frassadys.com and Cassnethosting.com. I'm a Blogger,Affiliate and Internet Marketer. I'm impressed with my partner World Profit because they've created a significant marketing platform which is really a 20 year old online marketing SYSTEM. My site has all the affiliate and internet marketing educational information and marketing tools that you'll need to be successful online.Visit my site to see for yourself and feel free to download one of the freebies that my site has to offer. If I can ever help you in any way, please let me know. Visit my social site here. If you're interested in World Profit,my partner, please signup with my landing page here and Now you Can OFFER over $10,000 in F-R-E-E Ad Packages. Thank you so much for taking the time to read my IBOtoolbox profile,I really appreciate it. Please take a minute to signup to the The Best Social Media-Business Site on the Internet,we'll become associates!